Last fall we planted garlic. 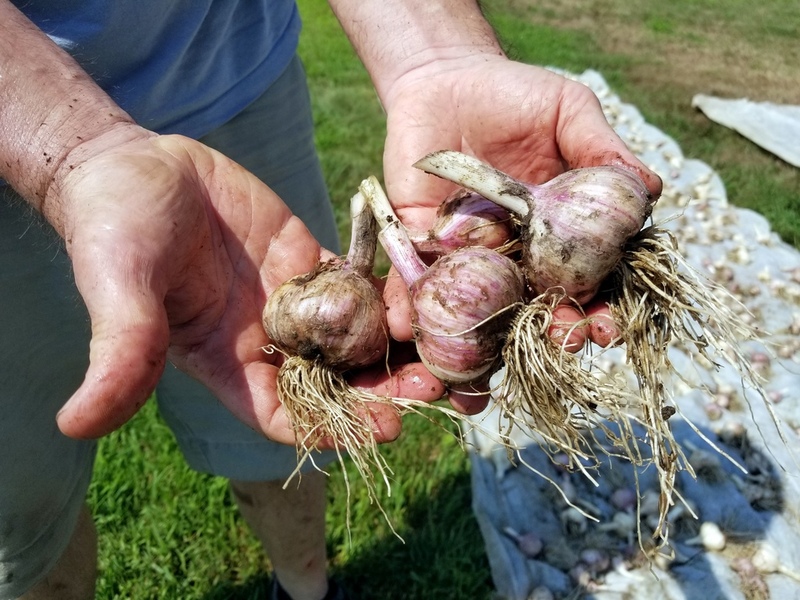 We used a combination of garlic seed we grew here and some we purchased from nearby organic growers: porcelain stiff neck, Moreno hillside, and elephant garlic. 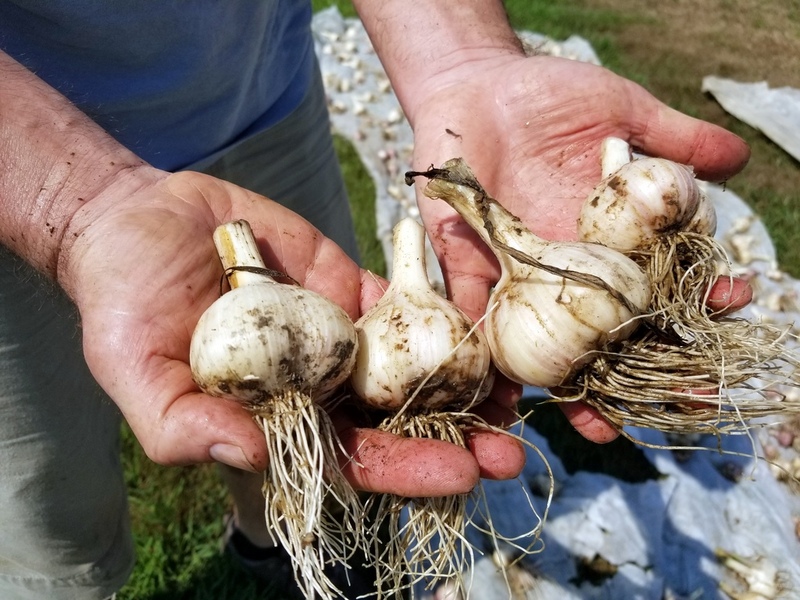 Elephant garlic: This is not a true garlic, but a relative of the leek. Still, it looks like garlic and acts like garlic in meals, if perhaps a bit milder than true garlic. Before rinsing off the heads, we snipped the stems instead of braiding or using them to hang the garlic to dry. 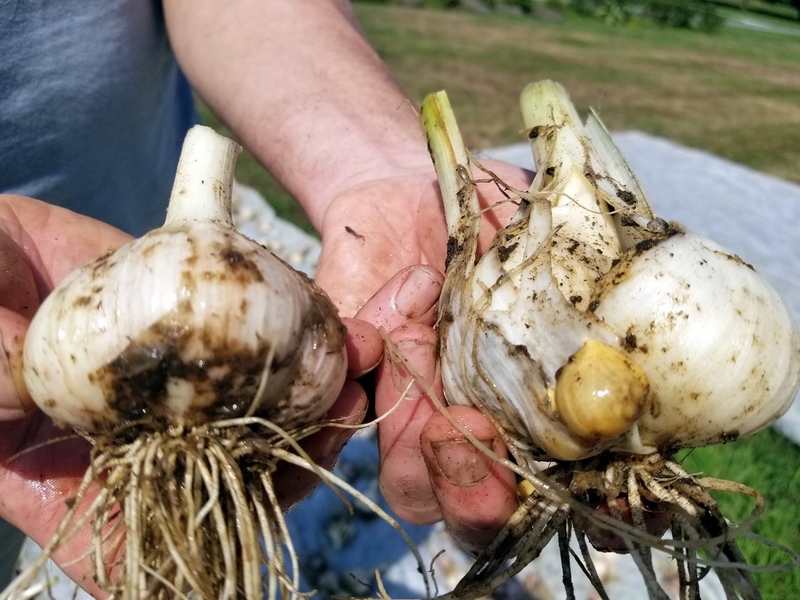 That’s a step we’re taking to prevent the leek moths we’ve seen this season (a pest that’s made its way from Canada down to the northeastern U.S.) from continuing to burrow down the stems and into the heads to eat. Once the garlic is dry, we’ll divide it into shares for the gardeners here. One Response to "Garlic Harvest"